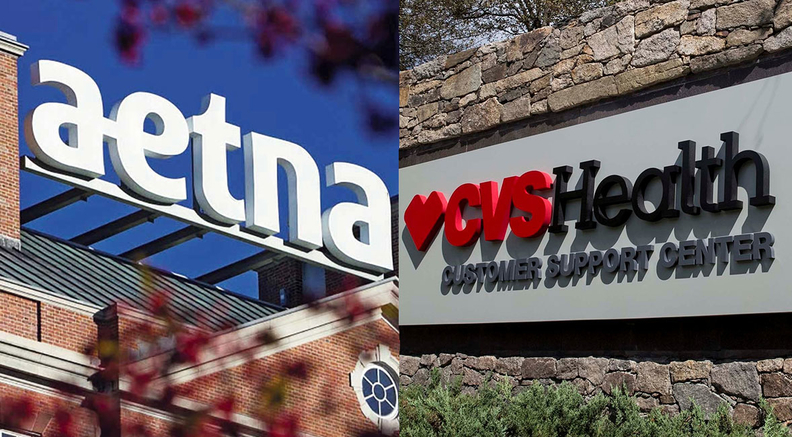 A federal judge Tuesday declined to put a timeline on when he might—or might not—sign off on CVS Health's $70 billion acquisition of Aetna. During a hearing in his Washington, D.C., courtroom, U.S. District Judge Richard Leon told the parties that he wants a government-appointed monitor to ensure that CVS keep operations of the two companies separate while he conducts a full review of the mega-merger. The companies and the Department of Justice, which gave conditional approval to the deal in October, have until Dec. 20 to let Leon know if they'll agree to his request for oversight. DOJ and CVS took different approaches in filings with Leon explaining why the companies don't need to keep their management siloed from one another during the review. While the DOJ argued that Leon's role in reviewing the deal is largely procedural, CVS outlined four measures it has promised to comply with in order to keep key operations separate until Leon reaches his final decision. Leon praised CVS for the being "appropriately deferential to the court." That's strikingly different from the criticism he heaped on the DOJ, saying the department was "tone deaf, intemperate, not helpful and unnecessarily defensive." The DOJ expects to wrap up its responses to public comments about the merger by early February, at which point the government believes the information will be available for a final order. CVS Health attorney Enu Mainigi said the company could follow its self-imposed measures for six months pending Leon's review, but that adhering to them any longer than that could prove problematic. Leon told her that he couldn't give "a promise or an estimate" on when he is likely to wrap up the review. "Each case is unique," he said. In its filings, CVS assured the court that Aetna's health insurance business is functioning completely separately from the CVS pharmacy and pharmacy benefit manager business, and that former Aetna president Karen Lynch, currently executive vice president of CVS, will continue leading the Aetna business. The company said Aetna "will maintain its historical control over the pricing and product offerings brought to the market," and that Aetna employees will retain their current compensation and benefits. Additionally, CVS "has and will maintain a firewall" to block the companies from exchanging "competitively sensitive" information. The government on the other hand contended CVS and Aetna should not stay separate while the merger is under the court's review because Aetna offloaded its Medicare Part D prescription drug business, where the DOJ based its anti-competitive complaint. "Even if the court thought it necessary to divest other parts of Aetna's business, however, the court would not have a legal basis for ordering that business to remain separate," the DOJ continued in its legal filing, arguing that such a move would destabilize the market and "interfere with the United States' ability to negotiate settlements designed to protect competition." In one line, the DOJ questioned the constitutionality of the Tunney Act, the statute in which Congress required that a federal court conduct a final review on any government-approved merger. "Moreover, the Tunney Act itself may be unconstitutional," the DOJ said.